As we all know, October is breast cancer awareness month, a time to reflect, remember, and cherish those we have lost and those who have survived breast cancer. All throughout the month, a variety of events are held to raise funds and awareness for the cause. Among all of these events were a special series of fashion shows that were produced in the Simon malls on October 8th in Rockaway and in Livingston on the 9th. 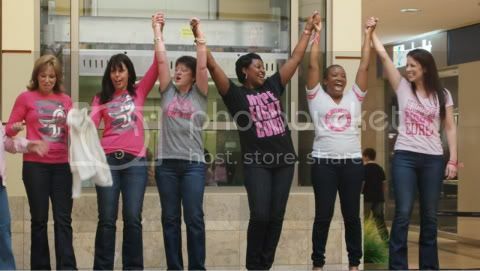 With our help and participating stores throughout each mall, two wonderful shows highlighted current fashion trends and some amazing breast cancer survivors. And when I say amazing, I mean A M A Z I N G!!! Overall, it was a memorable event and left a great feeling of hope amongst the crowd.